Star-Lord and Gamora, from the “Guardians of the Galaxy” movies take guests on a musical journey through the cosmos in the Guardians of the Galaxy – Awesome Mix Live! show at Epcot. 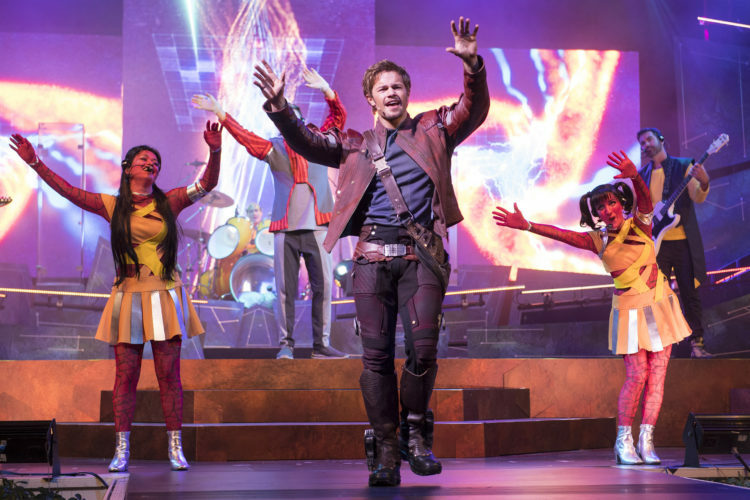 Featuring hits from Star-Lord’s Awesome Mixtapes – fun and favorite tunes from the two movie soundtracks – the show takes place daily through Aug. 19th at 1:30, 2:30, 5:30, 6:45 and 8 p.m.
It’s all part of an Incredible Summer at Walt Disney World Resort.